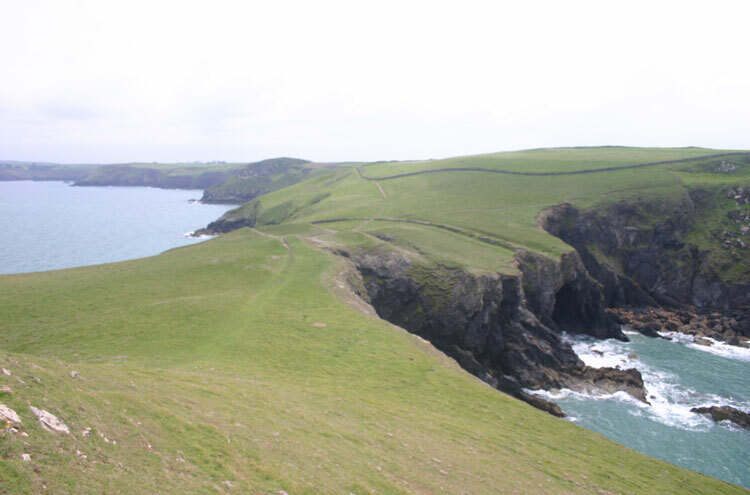 This great walk winds for a total of 630 miles around the cliffs, coves and deep creeks of the beautiful coastline of south-west England. Many think this has everything - exceptional scenery; long and rich history; lovely villages and towns, and a wealth of animal life and vegetation. And delightful places to stay. Most people choose sections to walk and take off for anything from a weekend to a fortnight - some of course tackle the entire trail! 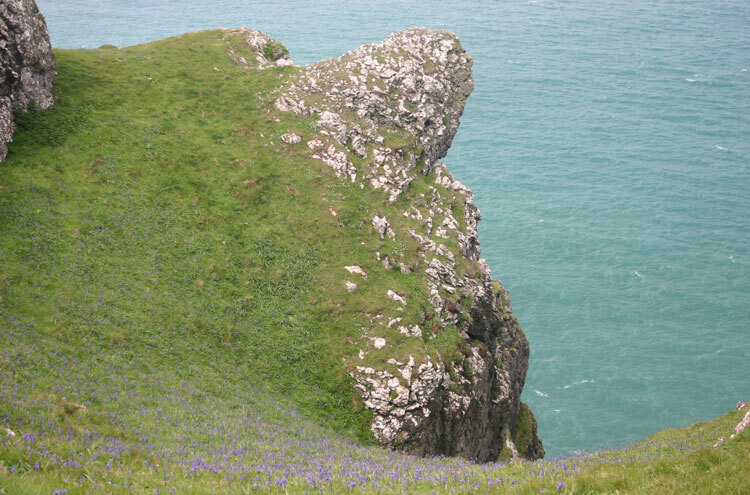 The South West Coast Path follows the beautiful and varied coastline of Somerset, Devon, Cornwall and Dorset for some 1,000 km (630 miles), through two World Heritage Sites as well as endless National Parks, Nature Reserves, Areas of Outstanding Natural Beauty and Sites of Special Scientific Interest. 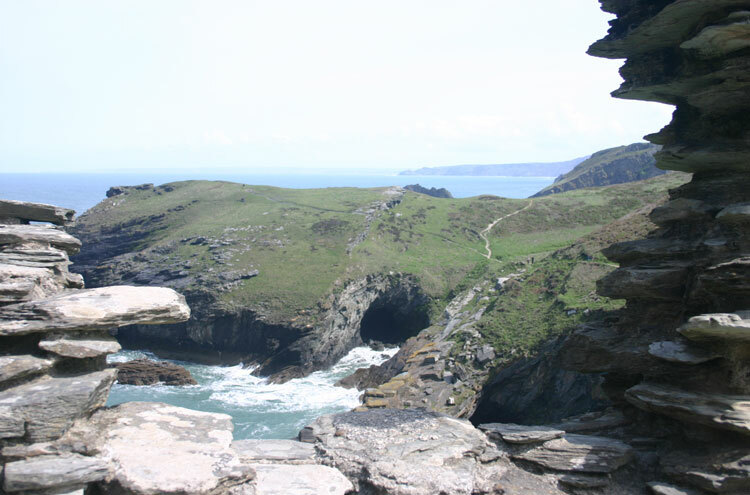 Many think this trail has everything - the exceptional beauty of the scenery; the long and rich history of the area, which has left a huge variety or remains and monuments, from (supposedly King Arthur's) Tintagel to tin mines to iron age forts; the lovely villages and towns, the wealth of animal life and vegetation. And delightful places to stay. Most people choose sections to walk, and take off for anything from a weekend to a fortnight - and some do tackle the entire trail! One of its joys is the ease with which you can select preferred sections; there are many circular walks, and inns, hostels, campsites along the route and firms to take your bags to your next destination. 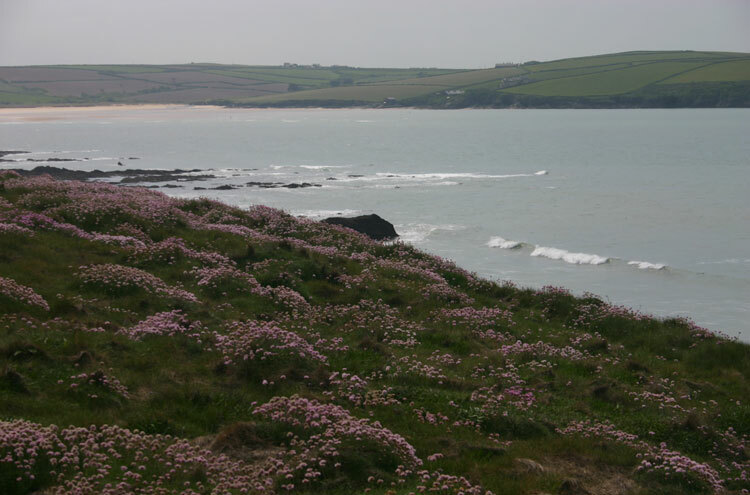 The appeal of the path is far from restricted to the beauty of the wild northern coast or of the softer, heavily inletted south-west, and to the east chalky-downy, southern coast. The path is a geologist’s dream, passing through the Jurassic Coast World Heritage Site, where discoveries were made that led to revolutionary theories about the Earth’s development, as well as a cornucopia of varied wildlife (seals, dolphins, endless birdlife) and ravishing wild flowers. The path passes by prehistoric fortified headlands, Roman sites, castles, churches, sheep farms and the often picturesque, sometimes sinister remains of the early mining industry whose remains have become a World Heritage Site. 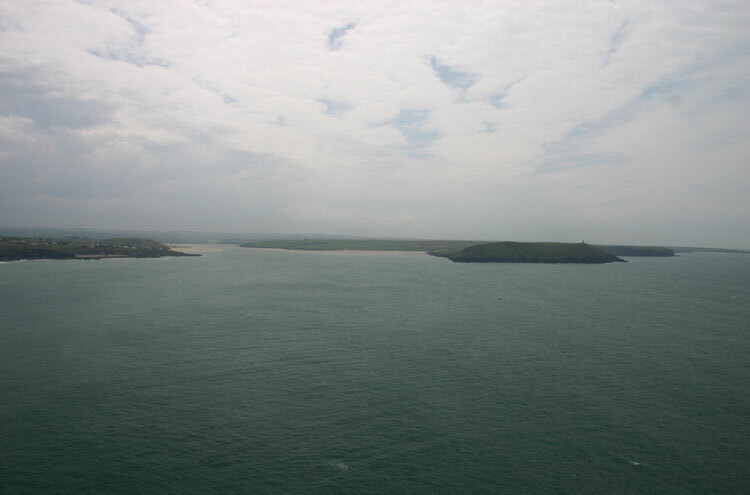 Artists and writers: Turner (Tintagel), St. Ives School of the mid C20. Coleridge (the man from Porlock supposedly interrupted the writing of Kubla Khan) – Wordsworth loved Exmoor too. John Fowles (The French Lieutenant’s Women). Lorna Doone. The path is in many places not a recent creation: the endemic smuggling of the 18thand 19thCenturies resulted in a coast guard service patrolling the coast nightly, and necessarily hugging the cliff tops so as to be able to check the many remote coves and beaches. Parts of the coast can become horrendously crowded in high summer. The best times of year are May and June, when the wildflowers are at their heart melting best and the days are long, and September. But be prepared for bad weather at any time. Autumn and winter walks can be thrilling – and alone. 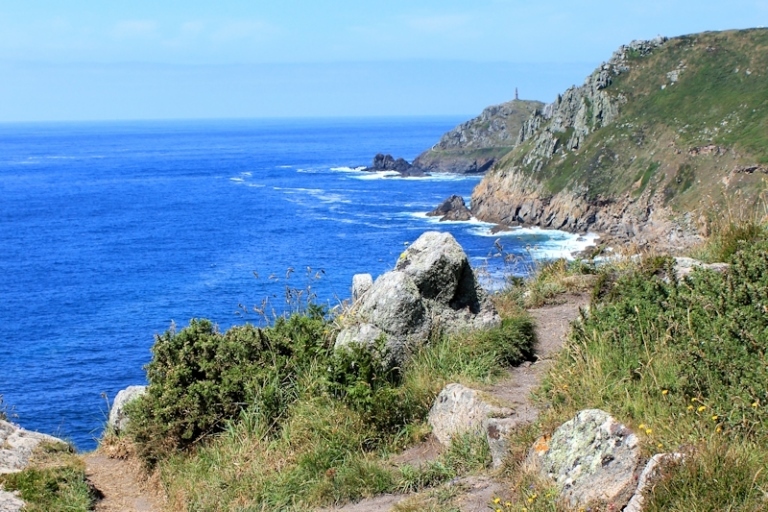 It is as impracticable to try to describe the whole of the path, and it is unlikely that you will walk it all, so here are some of the best sections – and some of our personal favourites. (The guidebooks (Trailblazer in particular) make good suggestions for day, weekend and longer walks). Minehead to Porlock; Lynmouth (or Lynton) to Combe Martin. Stunning coastal cliffs and charming towns. Coleridge wrote Kubla Khan near Porlock. Walkable in 3 days. Combe Martin, to Woolacombe, to Croyde. Westward Ho! 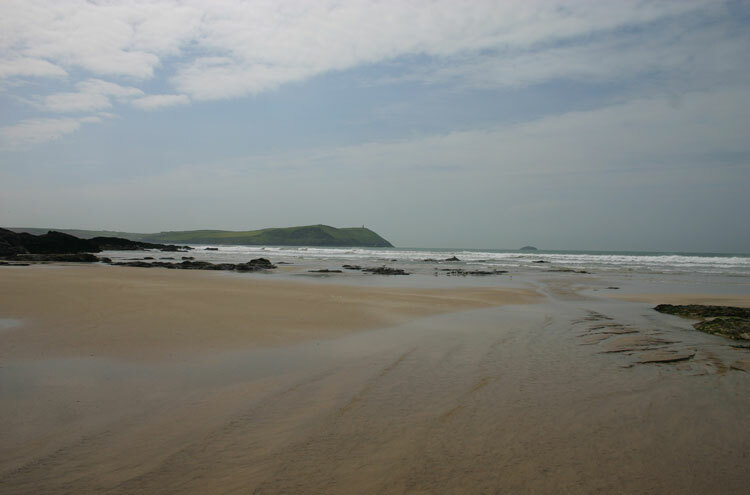 to Bude (3 days). 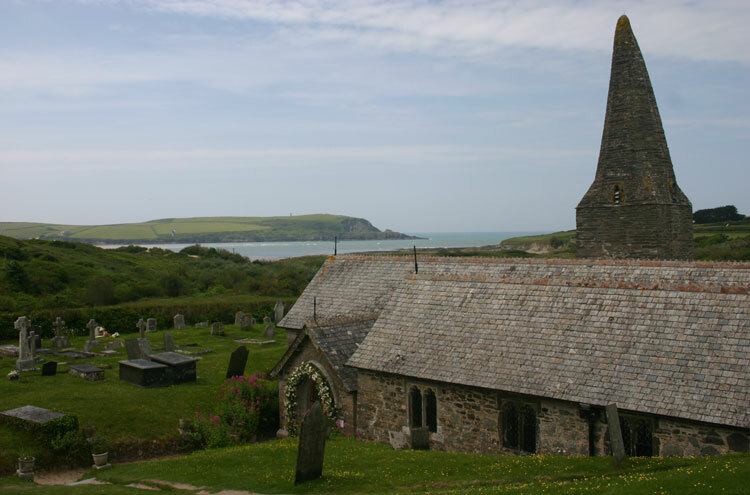 Tintagel to Port Isaac to St. Enedoc. Mullion Cove to the Lizard. Fowey or Polruan to Looe. 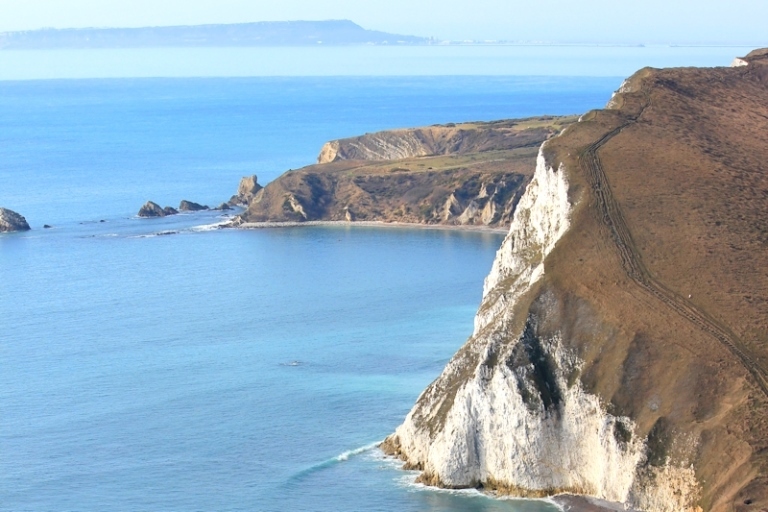 One of the finest stretches is the Jurassic Coast, not only geologically world famous but gorgeous to boot. Exmouth to Sidmouth to Seaton to Lyme Regis (Trailblazer consider the latter possibly the best single stretch on the entire trail). Weymouth to Lulworth Cove to Kimmeridge Bay. Have a look at TripAdvisor – there are tens of millions of reviews, so you may get good, current views on the area. 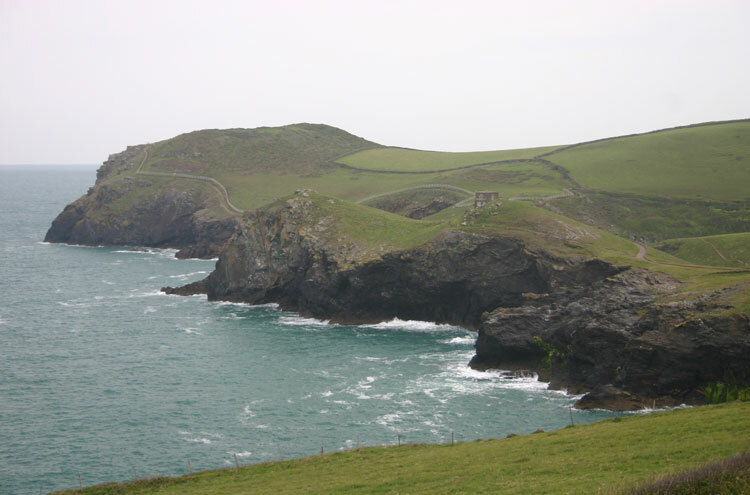 From the dreary nearby car park, you suddenly find yourself across a cove from Tintagel Castle, on its almost-island, as magical as its reputation leads you to expect, indeed so magnificent that it survives having the horrendous Camelot Hotel and Tintagel Village opposite it on the mainland. The one essential web address is http://www.swcp.org.uk/ for the splendid South West Coast Path Association (OK, conflict of interest declaration, I've been a member for about 15 years, 8 of them while we did the path at a week each year, and the rest out of gratitude). They not only did and do a lot of work in battling to develop and defend the path, but also produce an annual handbook which is an invaluable travel companion (ferry times, bus line phone numbers, accommodation details and much more as well as path notes). 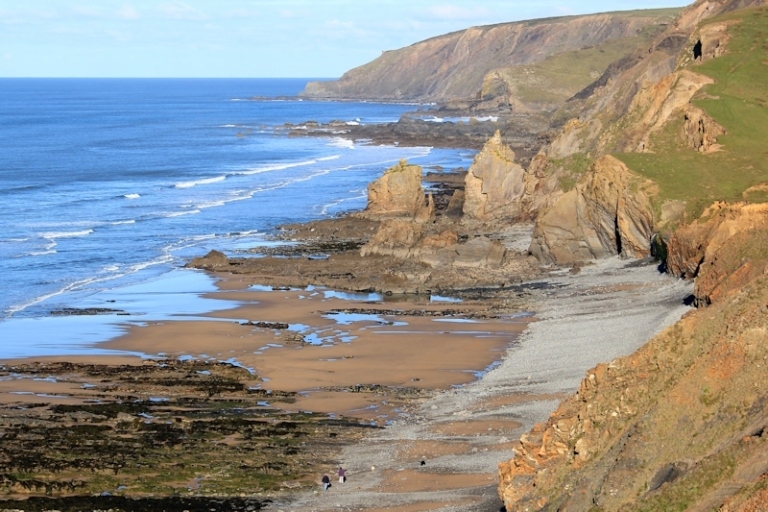 The South West Coast Path is England's longest marked trail and a staggeringly beautiful walk, with over 600 miles of some of the most scenic coastal scenery in the world. The walk includes two World Heritage Sites, five Areas of Outstanding Natural Beauty and part of one of Britain's National Parks. 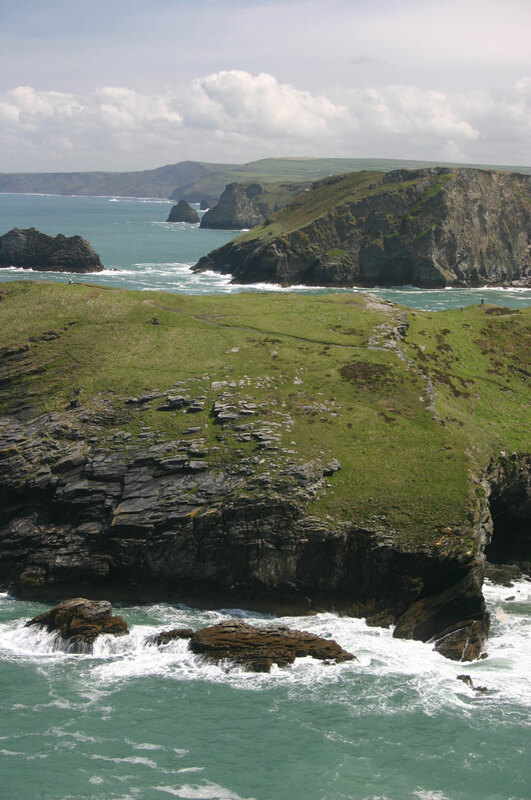 The route is well signed and takes you past fossil cliffs, unspoilt beaches, tin mines, iron age forts and ancient woodlands. 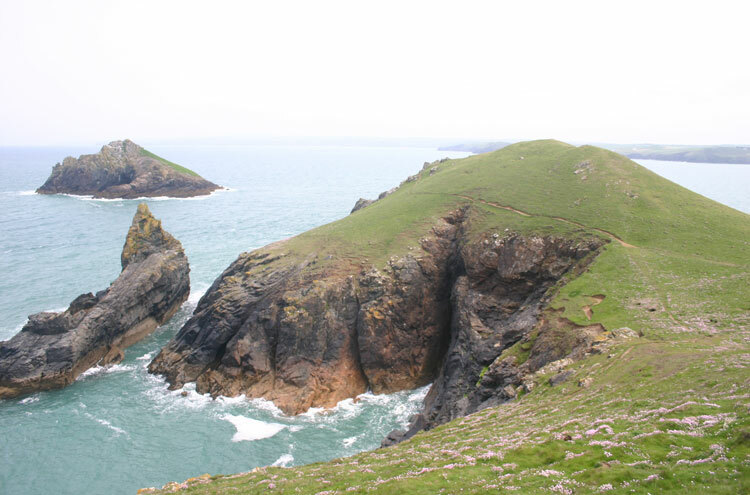 You walk across steep slopes, over rocky outcrops, along sand-dunes and climb beautiful cliffs. (I gather the total climb is equivalent to more than 3 times the height of Mount Everest, assuming you would begin climbing Mount Everest from sea level, which you don't!) 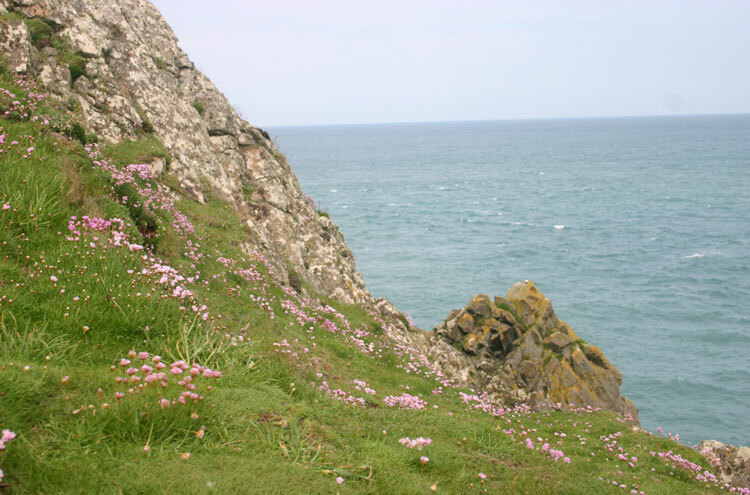 The two principle sources of information are: http://www.southwestcoastpath.com/ - the official website. http://www.southwestcoastpath.org.uk/ - the association website which is, in my opinion, more informative if you are planning on doing the whole route.